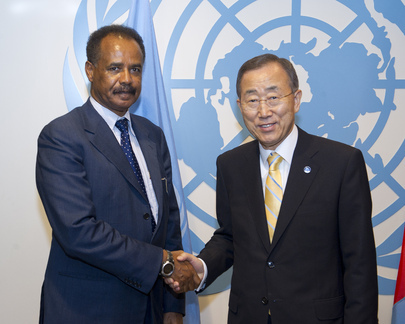 UNITED NATIONS, December 3 -- As the scheduled UN Security Council vote on new sanctions against Eritrea on Monday looms, on Saturday the country's foreign minister Osman Saleh wrote again to Council president Vitaly Churkin of Russia asking for more time. Saleh's letter, which Inner City Press received and is putting online here, puts the blame for the rush and denial of due process on the United States. The letter does not mention Gabon, the ostensible sponsor of the sanctions resolution.